E-commerce website development services offered by SynapseIndia ensure that businesses can reap benefits from the growth of online commerce through technologies like WooCommerce. According to many business analysts, the future of e-commerce is promising for small businesses. With the ever-evolving landscape of online shopping, businesses of all kinds and sizes need to keep their focus on retaining and growing their online customer base. Businesses should seriously consider the following factors while planning to deploy or expand their online business. Focusing on mobile: According to a number of different surveys, online shopping on Thanksgiving, Black Friday, and Cyber Monday has drastically increased over the past few years. In fact, in 2018 Thanksgiving weekend broke many early records in terms of online sales revenue by major retails. Mobile users play the most significant role in the entire e-commerce business. Small and medium-sized enterprises should not miss the opportunity provided by mobile devices. Functionalities of the online store: Businesses need different types of custom functionalities on their e-commerce platform depending on the type of products they sell. By implementing personalized functionalities, retailers can improve the internal workflow of the platform. They can also use ad-ons and plugins for strengthening the platform. Use of right technology: Here comes the most significant role of e-commerce software vendors like SynapseIndia. Businesses must take professional help while choosing a third-party platform. 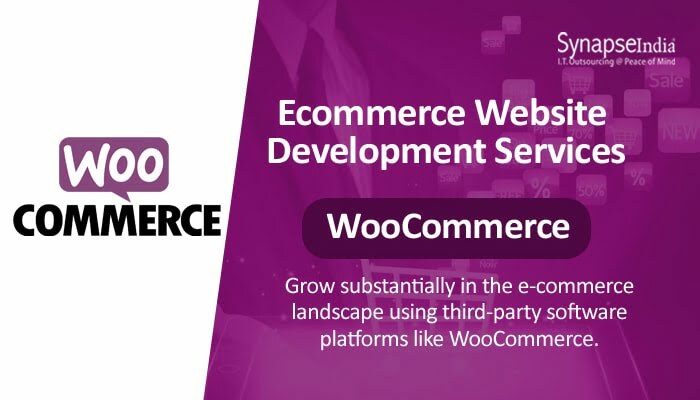 The e-commerce platform WooCommerce offers important functionalities like efficient payment gateways, attractive themes, and easy product shipping.